You are here: Home / Entertainment / Amazon Prime’s “Pete the Cat” is LIVE today & Pete the Cat Prize Pack Giveaway! 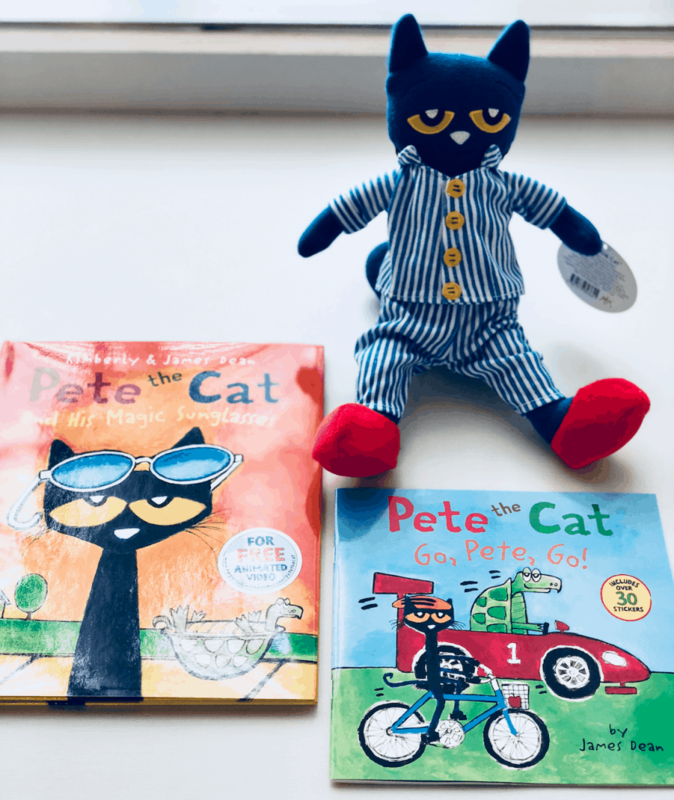 Amazon Prime’s “Pete the Cat” is LIVE today & Pete the Cat Prize Pack Giveaway! We are so excited to watch Amazon Prime’s Pete the Cat today after school with the kids! We are also excited to give one lucky reader a chance to win a fun prize pack on behalf of Amazon. When being asked if I wanted to share about this show, I was so excited! Pete the Cat is such a popular book and my kids both love them. 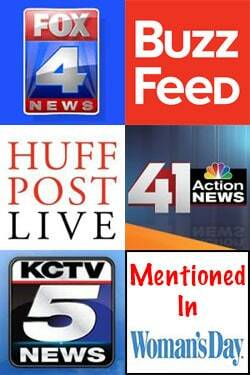 This is a sponsored post because I was provided free product to share about the new show and also host a giveaway. Our posts and website also contains affiliate links, which just means at no cost to you if you choose to make a purchase we might earn a small commission. About Amazon Prime’s “Pete the Cat”! Pete the Cat is NOW available on Amazon Prime! Don’t miss out! Based on the best-selling children’s books, Pete the Cat is a fun, musically driven series about exploring your world and trying new things, while being smart, accepting, and optimistic. Whether you’re making new friends or facing all of life’s ups and downs, Pete always finds a way to put a groovy spin on things. The series stars Jacob Tremblay (Room) as Pete the Cat, and musicians Diana Krall and Elvis Costello as his Mom and Dad. Pete the Cat features original music from Grammy Award-winners Costello and Krall, which will also be available to stream via Amazon Music. 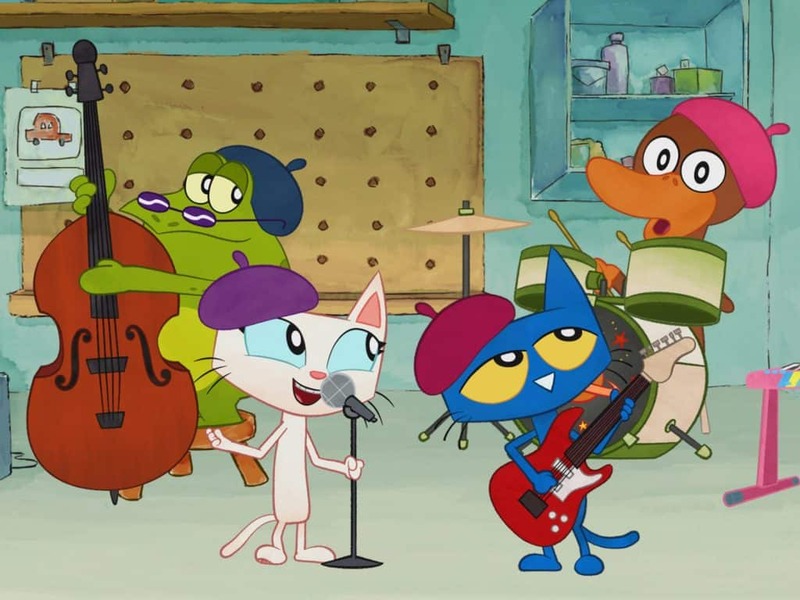 Jessica Biel (The Illusionist), Atticus Shaffer (The Middle) and internationally acclaimed musician KT Tunstall also star in the series.In season one of Pete the Cat, the show highlights themes of self-discovery. Pete stays cool as he tries new things, sets out for picture day, writes his first song, learns to surf and even has his first performance for his band. Scored with an upbeat, groovy soundtrack, Pete the Cat encourages children to be curious, creative, and positive while rockin’ to their own beat. The character “Pete the Cat” was created by author/illustrator James Dean and is the beloved star of over 40 popular children’s books. The books have been translated into 13 languages and have received 18 literacy awards to date, including the Theodore Geisel Seuss Award. Families will be able to see Pete and his friends come to life in the series. The holiday special Pete the Cat: A Groovy New Year is available now for streaming. Pete the Cat is a co-production with Amazon Studios and Alcon Television Group. It is developed by Jeff “Swampy” Marsh (Phineas and Ferb) and Appian Way Production Company. Marsh serves as executive producer along with Alcon’s Andrew Kosove, Broderick Johnson, and Laura Lancaster, as well as Appian Way’s Jennifer Davisson. 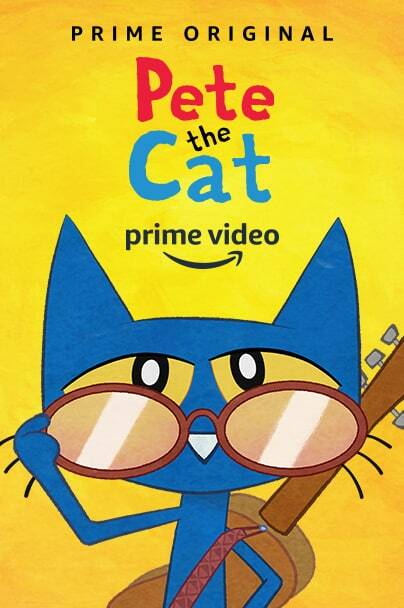 Pete the Cat will be available for Prime members globally to stream and enjoy using the Amazon Prime Video app for TVs, connected devices including Amazon Fire TV, and mobile devices, or online with other Amazon Original Series online at Amazon.com/originals, at no additional cost to their membership. 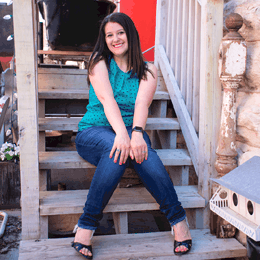 Eligible customers who are not already Prime members can sign up for a free trial. My nephew loves Pete the Cat! no, but i look forward to introducing to my nephew! My younger sister loves Pete the Cat! The series looks interesting. My son LOVES Pete the Cat. He loves his books and can’t wait to see the new show! We love Pete the Cat books! They are my 6 year old’s favorite! No neither I or the boys have ever read Pete the Cat. Sounds like a fun book though. Yes! My middle son learned how to read on these books! My kids love Pete the Cat. The DVD is something that they would really enjoy as well. The prize pack ia awesome! We love the Pete the Cat books. I can’t wait to watch the series and see the books come to life. We’ve read many of Pete The Cat books, our most recent favorite is Pete The Cat Saves Christmas and an oldie but good Pete the Cat and the Bad Banana. I look forward to seeing if his pet fish is in the book and if he is a hero like in the Christmas book. Pete the Cat saves Christmas is our favorite recently, but we also like Pete the Cat and the Bad Banana. We hope to see his pet fish in an episode and see if he wins or is a hero in the race. No, I have not read Pete the Cat, but looking forward to reading with my bookworm granddaughter. My kiddo loves Pete. We are looking to join Pete on new adventures. My kids love Pete the cat. We havent read those books before. I’m not sure if my grandchildren read Pete the Cat, but I’m sure they will enjoy it. My kids all enjoy the Pete the cat books! My daughter loves Pete! We are excited for some new stories! My daughter loves pete the cat! we have not but it looks and sounds great. We’ve read a couple of Pete the Cat books. My youngest son is in kindergarten and learning to read. We need more books at home because he has read everything we have already. My son is obsessed with Pete the cat!! Yes my daughter loves Pete the cat and his 4 groovy buttons. no i havent but am lookin forward to it. Our 4 year old Samantha. loves Pete the cat. She would love this. My niece loves Peter and we are looking forward to seeing him on screen! No we haven’t read the books, but they have seen it on amazon and the kids loved what they saw. My daughter read these books. She would enjoy seeing what adventures Pete the Cat goes on. I haven’t read it. My granddaughters would like it though. We have not read these yet but are very excited. I haven’t seen Pete the Cat yet, but my nephew’s cat is named Pete and I know he’d love this! My son loves reading Pete the Cat and we are super excited to see this character come to life on the screen! We read Pete the Cat several times a week. It’s our favorite series to read. 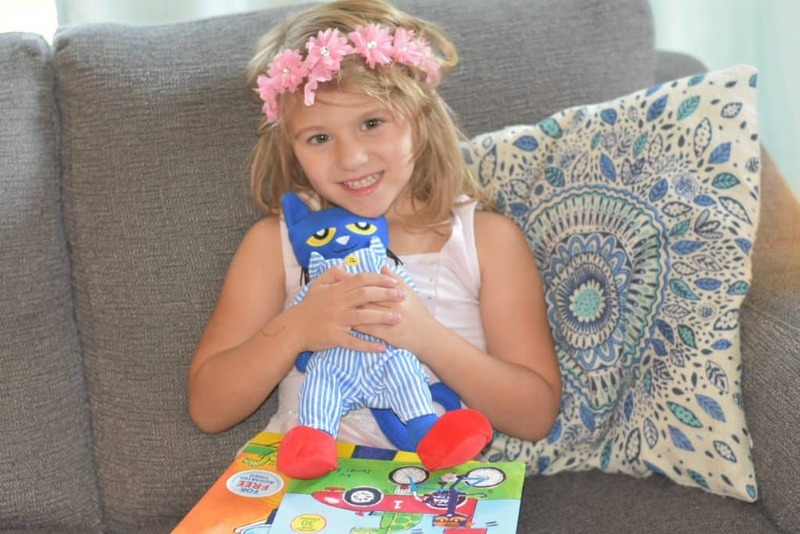 Yes, we absolutely love to read and collect Pete the Cat books. No, we’ve never read this before, but it looks excellent. We love Pete the cat and our fav books in the series are Pete the cat and his white shoes and the groovy buttons! we also like Gus!!! We like how the books are colorful and love to sing with Pete. We also like that they incorporate learning like colors etc for the young. I look forward to these books too being colorful, filled with rhymes and fun stories. Yes, we love Pete the Cat and are looking forward to some new ones to read. we love PETE! We have many Pete books and read them constantly! we cant wait to see what fun adventures PETE will come up with next! Pete the Cat is a classic at our house. Yes, my son learned to read by using Pete the Cat books. I am excited to introduce more books. My kindergartener would love to watch this!! We read pete the cat everyday! Good thing we are prime members! No we have not, would like to share this with my nephew. We’ve read a few of them, we like to rent books from the lirary and my son loves to try and find those. Yes my daughter has read a couple of Pete books! We have not read these books, but I know we would love to read them. We have not read Pete the Cat, yet but we do look forward to doing so soon. It seems like an adorable adventure series. No, haven’t read Pete the Cat. Looking forward to the adventures and the music. We love Pete the Cat. I can’t wait for the series. My son keeps playing the New Year episode. My grandson loves Pete the Cat. I’m looking forward to some new stories and adventures with this new series. Can’t wait for the series, we love Pete the Cat. My nephew is a fan of Pete the Cat. My grandson loves Pete The Cat! Pete the Cat is new to us but will soon be part of evening story time! We’ve read lots of Pete the Cat books! My son has two pete the cat books. I wish I could upload the pictures here but I am having trouble. He has the button book which led to pete going to school!